How to make Ikea spice rack bookshelves…These are new bedside bookshelves in our toddler’s room, which are painted Ikea Bekvam spice racks. It’s probably one of the simplest Ikea hacks – where people take the furniture and use it for something else – but a really good one. 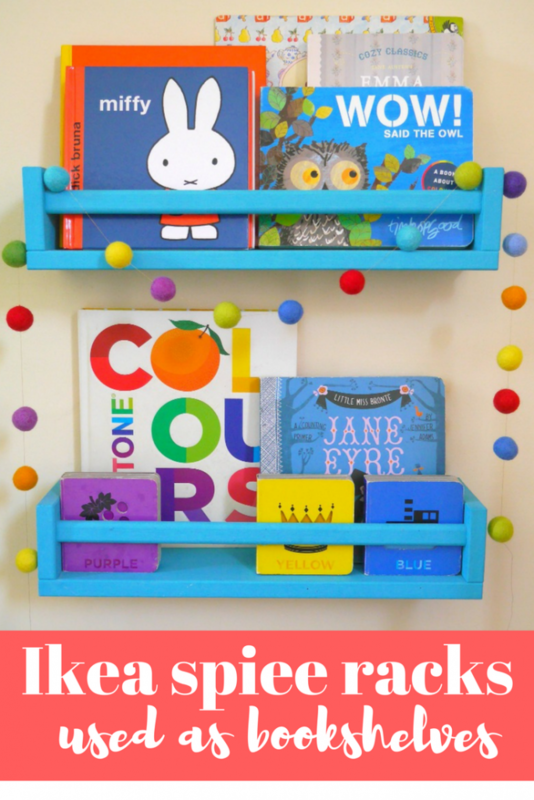 The Ikea spice rack bookshelves / spice racks work really well as bookshelves for children’s rooms, as they’re deep enough to keep lots of books on, and small enough so you can slot them in to make a cosy reading corner. Hers are right by her bed, so we can read books to her pre-sleep. They come in the pale wood, but we thought it would be fun to change the colour. Because we really want Eliza to be involved in her own room, she even helped me paint them (*cough* first coat). As they are by her bed, they also surprisingly useful for housing various objects including her evening water cup and whichever mini toy is the current favourite. 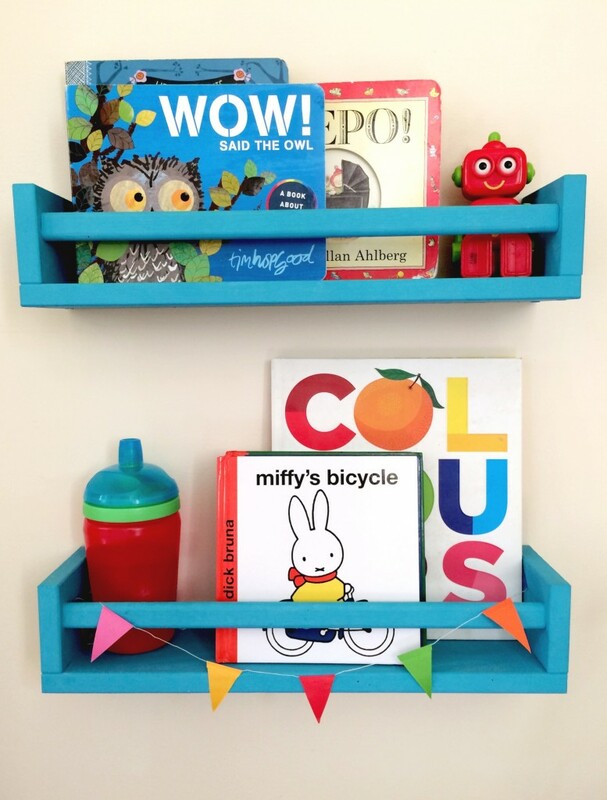 I have a whole load of ideas of IKEA hacks for children over on my Pinterest board. We’ve been doing lots of work on the house recently. It’s not so much because we have a baby deadline now, but I’m so sick of it not being done. I do think it’s probably extreme nesting on a three-storey scale. 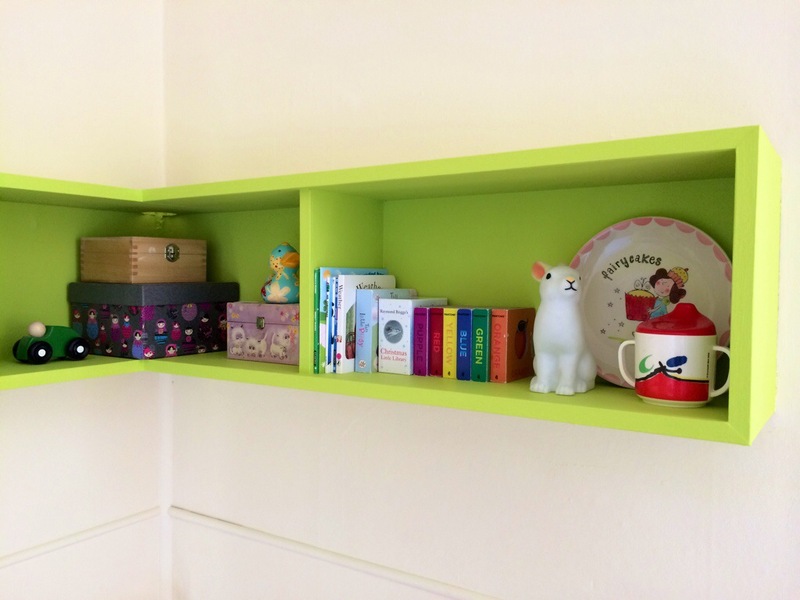 So there’s been more paint in Eliza’s room, where the only useful build-in cupboards in the house that we’ve left up – out of many – were the boxed-in shelves above her bed, so we (Alex) painted those bright green. I can’t take any credit for it as it was all his idea. 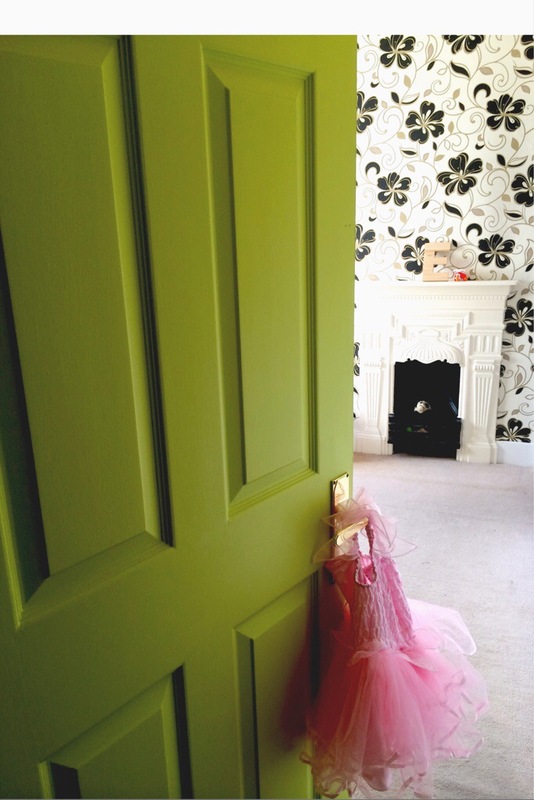 We all loved the colour so much we used it on her door as well, which previously had a terribly streaky whitewash. Breaking news, we also painted our awful red fireplace (it looks a million times better, will post a photo shortly). Amazing work! I am now desperate to paint our doors! Funnily enough, it never occurred to me! I love the colours you’ve chosen. Looking forward to seeing your fireplace too. We have an awful electric pretend fire left by the previous owners. I can’t wait to replace it when we get the funds. this is such a good idea, and i love that turquoise! 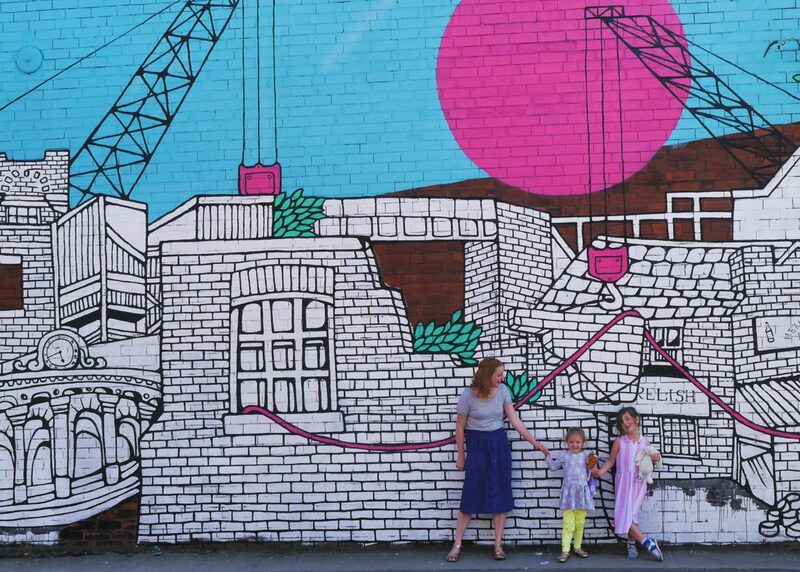 looking good – great colour picks! 1. What color/brand of turquoise paint did you use to paint the spice racks? Did you prime first? 2. Where did you get the adorable teeny tiny bunting that is shown on the spice racks? It’s such a sweet touch! I love that you sent Alex a diary invite to block out his time!!! Where’s the green paint from? Great shade! martelka.pl | Porządek w zabawkach – niemożliwe?